As popular a game as Overwatch already is, there is always room for more players. Which is why Blizzard is offering you and everyone you know the chance to play Overwatch for free this weekend. And that applies whether you’re playing on PC, PlayStation 4, or Xbox One. Overwatch is a team-based first-person shooter released in May 2016. Since then the game has grown into a phenomenon, with millions of fans worldwide. Unfortunately, that popularity means Overwatch has remained expensive to buy, which is why you may want to play for free. This, the latest Overwatch Free Weekend, is taking place between February 16-19. 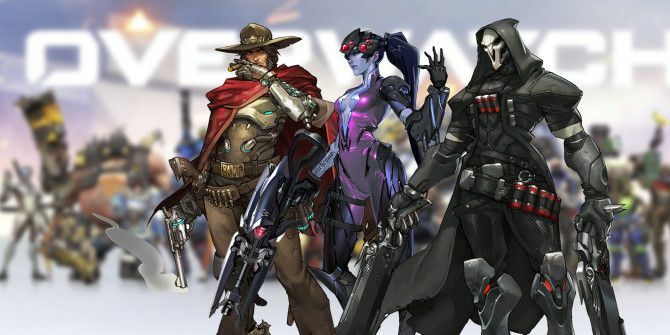 You can play on PC, PS4, and Xbox One, and the full roster of heroes A Beginner's Guide to Overwatch Heroes A Beginner's Guide to Overwatch Heroes Overwatch has tons of heroes to choose from, but which one is right for you? Here's a guide to every Overwatch character. Read More and maps will be available across a variety of modes. Players can even level up and save any progress made. PC players just need a Battle.net account, PS4 players just need a PlayStation Plus membership, and Xbox One players just need an Xbox Live Gold membership. The Overwatch Free Weekend will start at 11:00 am PT on February 16 and end at 11:59 pm PT on February 19. The instructions for playing the Overwatch Free Weekend are different for each platform. So just head on over to Blizzard’s blog post and follow the “Installation and Play Instructions” for your platform of choice. NB: You can pre-download the PS4 and Xbox One versions. If you’re diving in for the first time just be aware that Overwatch isn’t your typical first-person shooter where it’s every person for themselves. Instead, you win matches by working as a team, and the MVP is often the guy watching your back from afar. There’s a reason Overwatch is so popular. And if Blizzard wants to let people play for free for the weekend it would surely be rude not to do so. Just don’t get too hooked or you may feel compelled to then buy the full game to continue playing on Monday morning. Are you already a keen Overwatch player? If so, would you recommend it to readers considering giving the game a go? Which character is best for beginners? Can you share any tips for success? Please let us know in the comments below! Explore more about: First Person Shooter, Free Games, Overwatch.